COULD you be the next Oscar winning producer, director, actor or screen writer? Are you interested in making a short five minute film and unleashing that creative muse inside you ? Down Community Arts (DCA) is seeking people in Down District to submit ideas for five minute short films to their ‘Film 300’ community film project. Launching Film 300 are Down Arts Centre manager Philip Campbell, Eclipse Cinema staff Una Duggan and Michelle O’Hare, with Rob Manley and Leontia Haldenby of Newcastle Community Cinema. Film 300 aims to unearth hidden film-making talent in Down District and is looking to support 10 films each with a small £200 budget. Philip Campbell, Down Community Arts manager, said: “The project, supported by Eclipse Cinemas in Downpatrick, is looking for films that showcase the creative talent of people in our community. “You don’t need previous film making experience just a great idea. DCA will help successful applicants through the process and will provide training workshops to assist in developing skills in script writing, storyboarding, sound, lighting and editing. The organisation will also be making available its office space for the budding film makers to aid the production of their film. 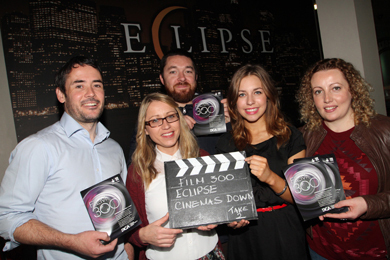 “With the support of Eclipse Cinemas Downpatrick, DCA will be premiering the films at their theatres in March 2014. We are also keen to link up with other groups working in the community that have an interest in film. Speaking about the project, Down Community Arts Project Manager, Philip Campbell said: ‘We are aware that there is real interest in film through a few recent projects working with young people in the community. We at DCA feel that it’s worth developing a project that allows people to express themselves creatively through the medium of film. Michelle O’Hare, marketing assistant with Eclipse Cinemas in Downpatrick, said: “At Eclipse Cinemas Downpatrick we are delighted to be hosting the movie premiere event in our theatres next year. The red carpet event will consist of the premiere screening of the short films as well as the chance to meet with the various casts. 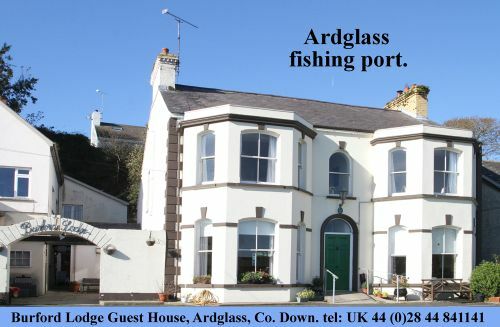 We are very excited to be able to see the local acting talent on our big screen”.